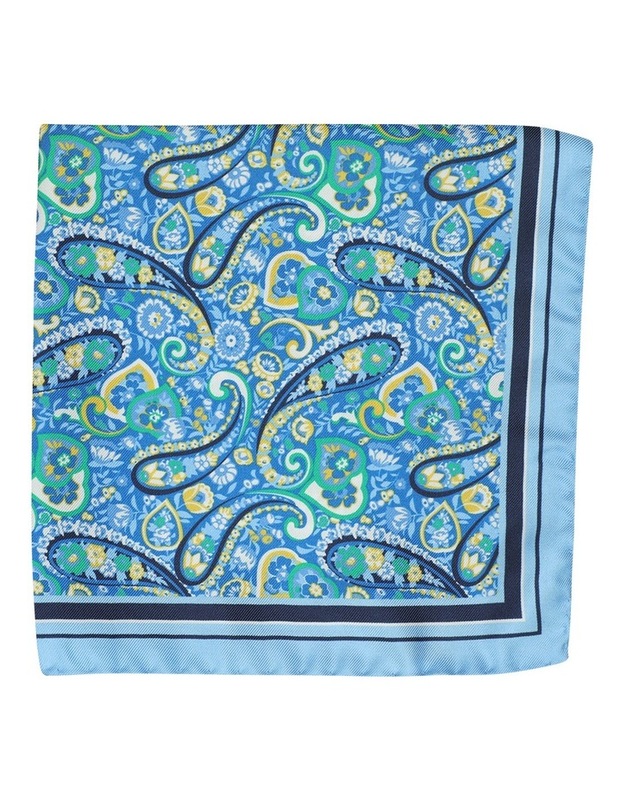 Pure silk folk paisley pocket square in blue. This detailed paisley pocket square in blue will add a delicate bohemian touch to your wardrobe and upgrade any choice of tailoring. Pairit with a plain or patterned shirt.